Aortic valve replacement is done with general anesthesia . You will be asleep. You may be given a device called an incentive spirometer. You will be asked to use it every couple of hours during the day. This helps keep your lungs as open as possible. This can help you avoid pneumonia . Aortic valve replacement. Encyclopedia of Surgery website. 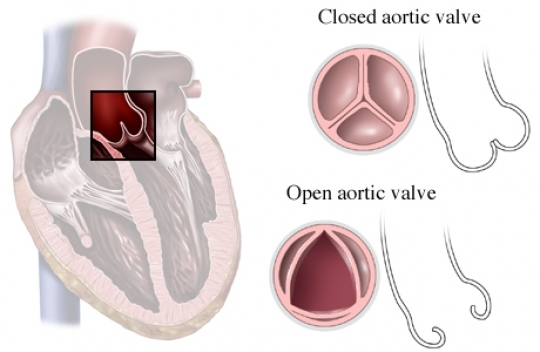 Available at: http://www.surgeryencyclopedia.com/A-Ce/Aortic-Valve-Replacement.html. Accessed September 15, 2017. Aortic valve replacement. NHS website. Available at: http://www.nhs.uk/conditions/aorticvalvereplacement/Pages/Whatisitpage.aspx. Updated February 12, 2016. Accessed September 15, 2017. Valve repair or replacement. Texas Heart Institute website. Available at: http://www.texasheart.org/HIC/Topics/Proced/vsurg.cfm. Updated August 2016. Accessed September 15, 2017.